The Pentagon said a Russian fighter jet made multiple close-range passes near an American navy destroyer. The warship was deployed in the Black Sea as Russian military suspects NATO’s systematic build-up of naval forces in the region. "I have difficulty believing that two Russian pilots on their own would choose to take such an action." 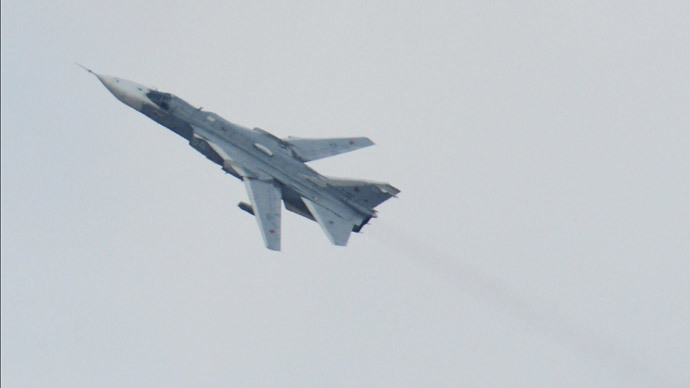 Pentagon defined the jet as a Russian Su-24 aircraft, or Fencer, which made 12 passes at low altitude near the USS Donald Cook that, at the time, was conducting a patrol in international waters in the western Black Sea, Reuters reported. Earlier, a military official told AP that on April, 12, a Russian aircraft flew repeatedly within 1,000 yards of the USS Donald Cook at about 500 feet above sea level for over 90 minutes. According to the official, the destroyer’s crew made several attempts to radio the Russian warplane requesting the reason for the manoeuvre. They then reportedly issued warnings to remain at a safe distance, however, there was no response from the Russian pilot. Pentagon confirmed the fighter jet was not armed with any aerial bombs. A second jet was observed was observed slightly further from the ship. "The Donald Cook is more than capable of defending herself against two Su-24s," said Warren. 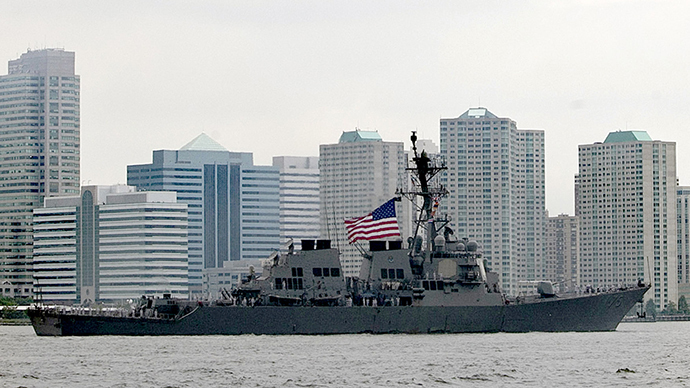 USS Donald Cook, a destroyer equipped with the powerful Aegis missile defense system, entered Black Sea on April, 10. The US Defense Department claimed the ship’s mission was “to reassure NATO allies and Black Sea partners” following the events in Ukraine. 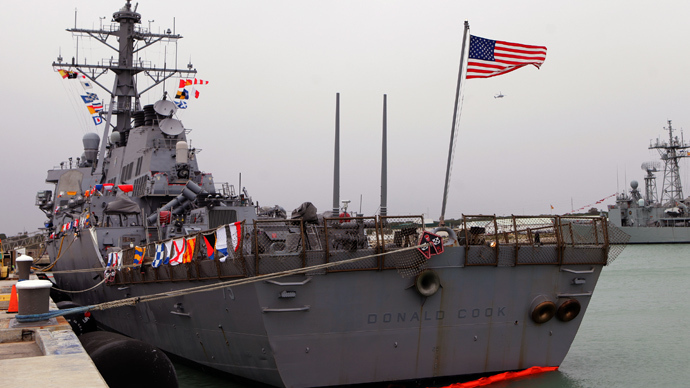 On Monday, the USS Donald Cook entered waters of Romania. Last week the Russian military considered the USS Donald Cook manoeuvre part of a systematic build-up of naval forces. “What we are seeing is that for the first time since 2008, NATO is creating a naval battle group outside Russian borders,” a Russian military source told Interfax news agency. According to the treaty, warships from non-Black Sea states can only stay in the basin for up to 21 days consecutively. USS Taylor spent 11 more than that in the region in February and March. Russia’s Foreign Ministry expressed “bemusement” over the move. “Turkey [which administers the treaty] did not inform us about the overstay. We have expressed our concern to the Turkish and US side in a verbal note,” said a statement on the ministry website.